An intraoral camera is a pen-sized camera that our dentists can use to take clear images of your smile. These images are then transferred to a screen in the room, providing Drs. Bookman and Goldberg with a convenient visual aid to explain the condition of your smile. 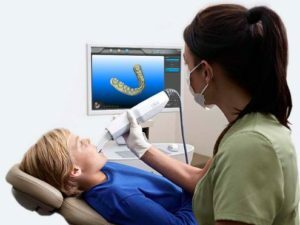 We welcome you to contact us at Artistic Dental today if you are interested in learning more about how we use the intraoral camera in Jackson, New Jersey.